Rai Technology University was established in the year 2013 located in Bangalore, Karnataka. The university is approved by UGC .The course which are offered by this university are MBA, BE/B Tech, BBM, BSc, MSc in Various Specialization. University has a vision to be foremost educational institute in imparting effective & efficient education for the aspired candidates and technical learning process to enhance the technical skill among the student to meet industry standards. The mission of the institute is to progress knowledge in the domain of both technical & Management field and also focus on competence, developing ability skill , Personality development with ethical values to meet the requirements of society. The objective of the institute is to impart higher education through distinguish faculty members who offers best teaching using innovating methods and transform the student into global leaders with ethical values. 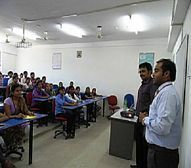 The university is collaborated with the reputed organizations, Industries & professional associations and also takes initiative and assumes programs for the expansion and teaching of faculty & staffs through series of sessions and conference. Academy works towards constantly extemporizing its amenities and finest infrastructure so that the aspired students can understand, discover and enhance their knowledge. Apart from accomplishing superior education from determined & dedicated faculties and also encourages the students to take part in extra-curricular activities for the inclusive development of students. Am I eligible without Comedk . Whether the agriculture and horticulture courses are ICAR recognised? Are you Interested inRai Technology University"? Please provide the following details.